An incarcerated Black college student challenged the nation’s prison educators to rethink how they consistently force predominant White cultural perspectives onto the non-Whites who fill their classrooms. 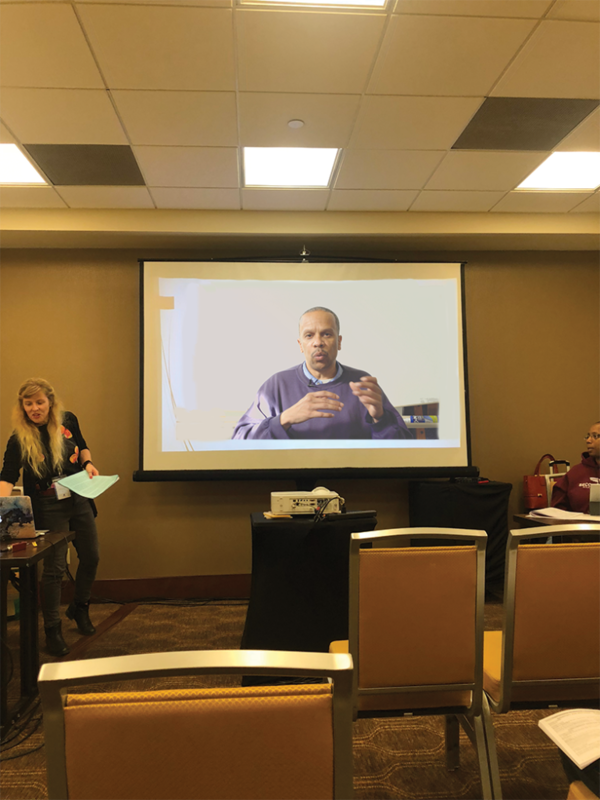 James King’s voice reached across the country to Indianapolis by way of video, where he introduced an academic paper he co-authored with Prison University Project (PUP) colleague Amber Shields at the National Conference on Higher Education in Prison. • [P]risons take people who have grown up in marginalized neighborhoods that lack certain opportunities, and disenfranchise them even further through the explicit lack of rights for incarcerated people. The classroom itself carries the academic institution’s own history of marginalization. • [W]e need to question the replication of power from traditional educational institutions and seek to overturn some of these practices by encouraging dialogue and democratic approaches in the classroom and curriculum. They were inspired to write about these ideas when King and other students took great offense to the positive Klu Klux Klan imagery depicted in D.W. Griffith’s Birth of a Nation. The 1915 film was touted for its cinematic significance and historical relevance in PUP’s Intro to Film class. Shields was the teaching assistant. Challenging Canons argues that students need to feel included in the curriculum taught to them, rather than the traditional power dynamic where a teacher teaches and students simply listen. Particularly in a prison setting, incarcerated students get far more out of the educational process when they are proactively engaged. Shields listened to the students’ grievances and empathized with their situation. She was already familiar with King through his role as PUP clerk, but the classroom environment provided further insight. “We had a lot of discussions about film, and a lot of what brought us together to do this paper were discussions from that class,” said Shields. King and Shields researched their topic separately, meeting four or five times over a two-month period to work together. After submitting an abstract for the conference, their paper was awarded a slot on the schedule. “James likes to paint things really starkly, but it makes for elegant writing,” said PUP’s academic program director, Amy Jamgochian. “Amber is the kindest person in the whole world. Jamgochian attended the Indiana conference to present her own paper, “Overfamiliarity” and “College in Prison”. Without King in Indianapolis alongside her, Shields said, “It definitely felt like half the paper was missing. Another PUP program director, Neil Terpkosh, said, “It was so exciting to see James’ face in this room in Indiana. It’s tremendously important for the voices of incarcerated folks to be at the center of these discussions. The four-day conference featured over 70 different panel discussions, presentations, and exhibits throughout the Sheraton Indianapolis Hotel, as well as scheduled lunch and dinner events for networking. “This conference re-emphasized for me how important it is to create a safe space to question the status quo and bring different voices together to dream up new ways of doing things,” Shields said. “I really became aware of all the barriers there are for programs like this existing, and the many ways we have to be innovative about overcoming those barriers,” said Terpkosh. Because race factors so heavily into mass incarceration and prison education, Jamgochian and Terpkosh commented on the underlying theme of King and Shields’ paper – the juxtaposition of White educators amongst so many non-White students. “White guilt doesn’t necessarily motivate me to do what I do,” he continued. “I believe in equity. “Our field is on the frontlines trying to address inequality with race and ethics,” said Jamgochian. “It’s not easy, but it’s a good mission to have. 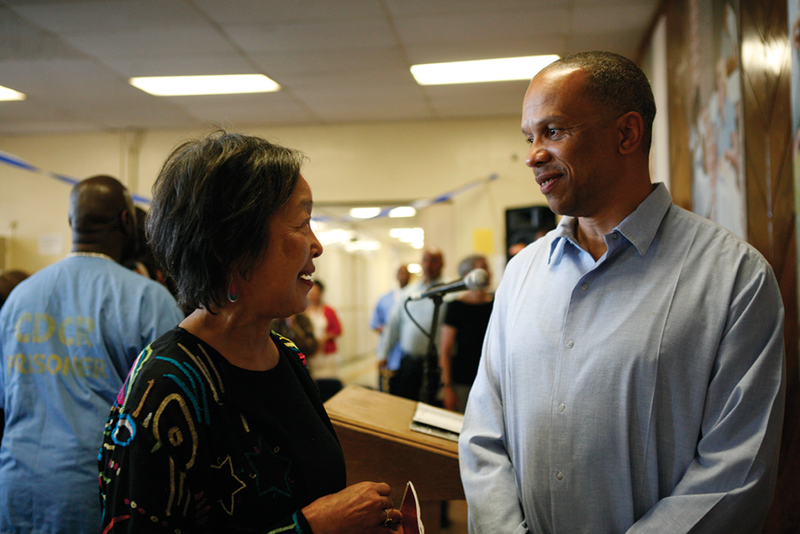 Since then, King has become a published essayist, an online blogger for restorecal.org, and contributes to multiple criminal justice reform organizations. He emphasized that he considers his proudest moment to be seeing PUP’s academic conference become a reality at San Quentin in October. King was a driving force behind the event’s planning and organizing, in addition to being a prominent participant. “Higher education, when done right, helps people learn the tools to critically assess their environment and learn about themselves in the process,” King explains of his journey. 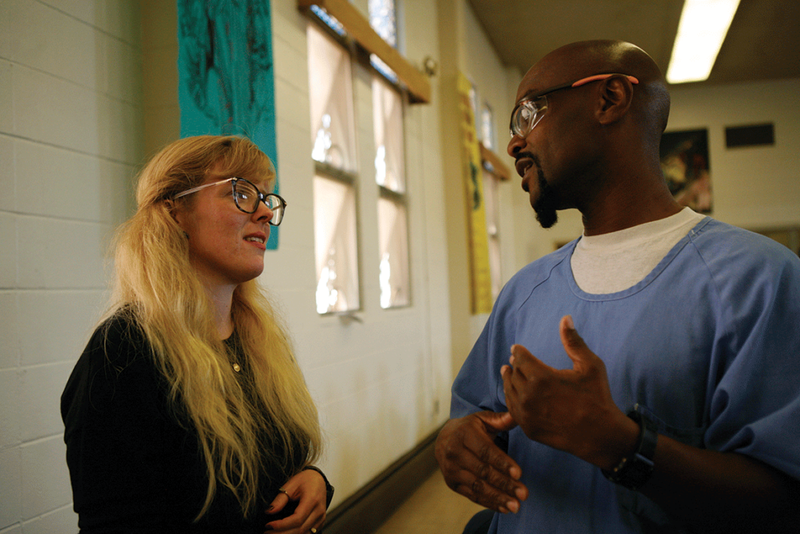 “I’ve gained a lot from higher education in prison. I’ve learned that I love learning. King wants to make one thing clear: “Any student could’ve done all this. These opportunities are there for everyone.